Sixty percent of Subaru owners have dogs. So in 2008, when the company decided to sponsor Animal Planet's Puppy Bowl, it made a major break from previous advertising campaigns — ones that showed drivers with other cars getting stuck in the snow, for example. Alongside a pledge to donate $ 250 to charity for every car sold, the company began to understand how to appeal to its core audience through their own interests — and how those tied together in a Subaru. Since 2008, the company has been running a campaign called "Love," one that brings together all the attributes that Subaru is known for — including safety and reliability. 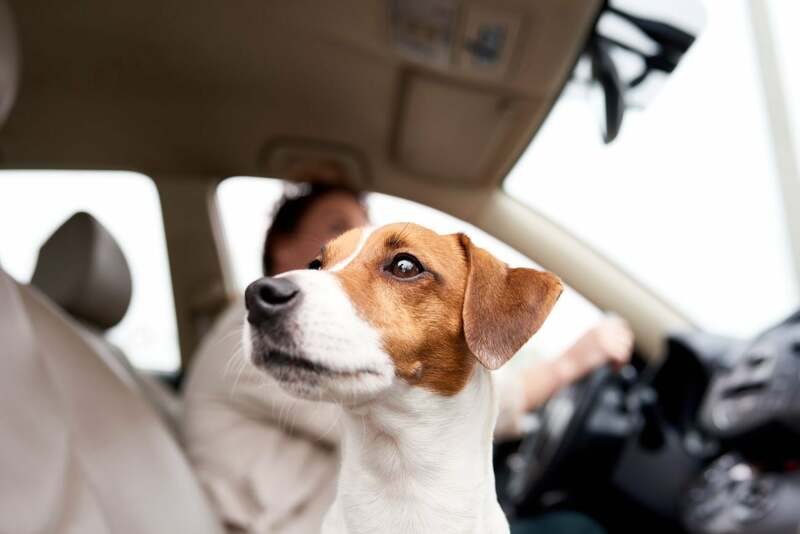 Instead of talking to customers by telling them all the bad things that will happen if they don't drive a Subaru (e.g., getting stuck in the snow), the company began speaking in a more positive language — including bringing furry friends along on drives. For many, the instinctive approach toward marketing is to tell an audience why they have to buy your product. Bad things will happen otherwise, and yours is the best in market. The others won't help you reach your goal. The problem with that logic is that it doesn't take into account the impact of brand image on product marketing. Sure, you might skid in the snow without a Subaru, but you need to think positively of the company as a whole if you're going to be drawn to its products in the first place. Think of it this way: When you were browsing YouTube back in January, you probably saw Procter & Gamble's tear-jerking ads about moms following their kids' athletic journeys from preschool ice-skating lessons all the way through to an Olympic medal. What did you think of the company after that? It wasn't selling any of its core products, like hand soap or after-school snacks, but you probably have a better opinion of the company now. It sponsors moms, it says, and that makes us feel good. You associate a positive feeling with that company, and now you are more drawn toward the brand. A similar example is Dove. The brand's "Real Beauty" campaign has become known for featuring women of all shapes, sizes and colors in its ads, including a video in which an artist draws women based on how they describe themselves. None of these are soap advertisements — they're focusing on the brand instead. Dove (incidentally, owned by P&G competitor Unilever) is more concerned that its audience sees a message of love and acceptance, with the belief that sales will follow. In the tech sector, Slack's messaging is known for its positivity, and — surprise — it ranked No. 1 for U.S. software companies in 2017. What about an example to the contrary? Let's take a look at Lifelock. The identity protection company's entire model is based on fear — specifically the fear that consumers' identities will be stolen if they don't pay for a $ 40 per month subscription. This came to a head after the Equifax breach in 2017, and the fear theme is visible in its advertising. This approach caught up with the company in late 2015 when it was slapped with a $ 100 million fine by the FTC for fraudulent advertising — $ 68 million of which was used to settle class-action suits against the company by customers. But perhaps the clearest example of selling out of love versus selling out of fear in a single industry can be found by looking at home security companies. Just look at these two advertisements: one from Nest, the other from Brinks. They are selling almost exactly the same product, but the difference between the two ads is painfully clear. And now that you've watched them both, which one are you more likely to buy? Now, while the need to sell out of love is in large part true, there is a flip side to all of this: Sometimes the goal of advertising is to push people away from something — in which case fear might actually be the answer. Think about organizations pushing an anti-smoking campaign. The images used on cigarette cartons in some countries have caused controversy, but studies say that these images help keep people from buying cigarettes. If you want someone to take an action, influence with love. If you want someone to stop doing something, influence with fear. So, what does this all come down to? The goal of marketing is just as much about selling a brand as it is about selling a product and features. At Hubspot's INBOUND 2017, Uber's new Chief Brand Officer, Bozoma St. John, gave a talk on the importance of utilizing positive emotions to draw in customers. For most businesses, retaining customers is cheaper than getting new ones — so their association with a brand needs to be a positive one, not a relationship of fear. Simply put, brand marketing is key. Features are important, but getting people to use your product relies significantly on their image of your brand, because you need to count on customers seeing your brand on the shelf and wanting it at a future date, when they may not remember all the features you listed in your commercial. Scaring the audience off from buying another car because it'll slide off the road probably won't score you too many points — but reminding them that you can take the pup off-roading for a weekend will do the trick.